The Farm Fresh White only comes in our stylish 59oz bottle, and it’s ingredient label proudly proclaims the only ingredient to be milk – 100% milk – nothing is added and nothing is taken away. It is rich and creamy and perfect for individuals who desire wholesome foods as well as gourmet coffee shops who want to offer their customers a consistent, high butterfat milk. The Farm Fresh Chocolate comes in a 59oz or pint size option. 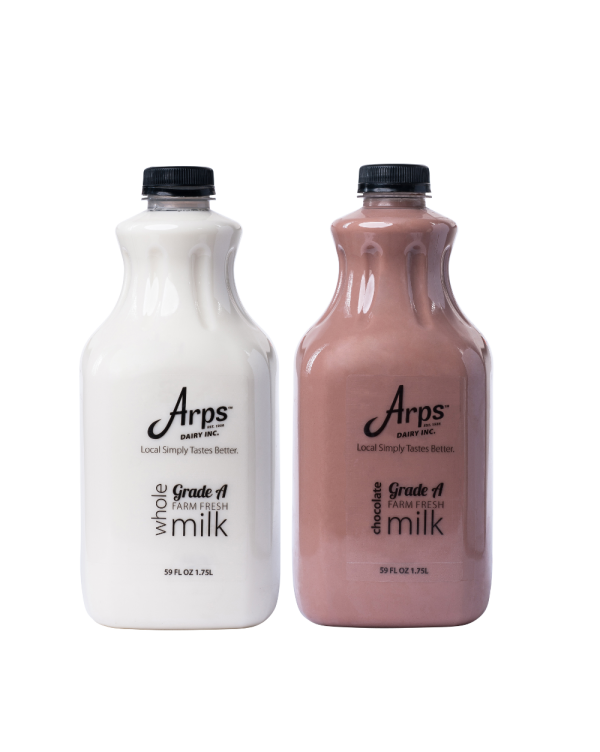 The Farm Fresh Chocolate Milk is thick and creamy, and is practically a ‘milkshake in a bottle’.